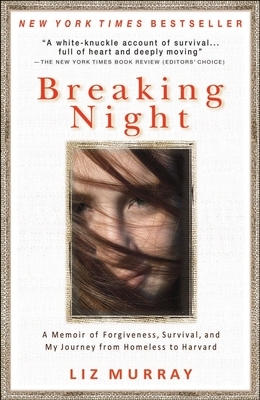 The book begins with Liz Murray comparing herself—physically and otherwise—to her mother. In what ways are they alike? What specific instances of difference can you find? What do you think it was that allowed Liz to actualize her dreams in a way her mother couldn’t? What do you make of Liz’s intense need, when young, to assist in keeping her parents safe (pp. 53-55)? Consider the strong statements made by Liz’s father about not caring what other people think of you (pp. 20, 59, 62, and 189). Is this always good advice? Is social opinion, or even shaming, an important part of culture? When and when not? Articulate the different identities and resulting roles that the two sisters—Lisa and Liz—develop when quite young. Do you agree with Liz’s idea that Lisa’s time with a loving family explains her distant relationship with Ma and Daddy? What do you make of Lisa’s harsh attempts to motivate and encourage Liz to go to school, or her cruel, disconnected treatment of her? Do you agree with the therapist’s theory that the sisters couldn’t be close because they were in competition for scant resources? How does their relationship evolve? Throughout the book—beginning early, when Liz is quite young—she expresses self-blame (pp. 50-51, 68, 107, 117, and 210) regarding her troubled situations. Discuss this as a behavior in children. What purpose does it serve for them? What are the consequences for Liz as she matures? Spending time with the Vasquez family began a desire in Liz to keep her home life a secret (p. 79). What role, if any, does this developing ability to hide significant elements of her life play throughout her life? When does this deception seem important? In what ways might it be harmful? Discuss the transformative ideas Liz is presented with after a day hustling to pump gas for tips (pp. 88-89). Eventually, Liz begins to shift from wanting to be involved with her parents, to the point of keeping watch during their drug activity to wanting to escape from her life with them (p. 111). What are the causes or changes in her that help explain this shift? Examine the relationships that Liz has with her central group of friends. What do they provide for her that makes her feel that they are her new family? Talk about Liz’s intense relationship with Carlos. In what ways was it valuable or important? In what ways was it similar to or different from her life with her parents? Consider the different essential needs of Liz at different stages of her life. What was most important to her when she was a girl who didn’t yet attend school? During elementary school? At St. Anne’s? At Brick’s? On the street with Sam? Once back in school, at Prep? Articulate and discuss the specific things—in addition to an education—that Perry Weiner, the co-founder of the Humanities Preparatory Academy, offered to Liz. After hearing Liz’s story, what do you think about the nature of human will? Why are some people able to overcome such hardships and create a successful life, while others never can? Consider the role and function of social services. Did the institution fail, or did Liz refuse to be helped? Why do you think Humanities Preparatory Academy was so much more successful helping Liz?